The french love brioche and love cinnamon. It follows that Pain Perdu is a bit of a favourite in France. There is not really any difference between Pain Perdu and French Toast and with a little bit of research it appears that neither originate from France. However Paid Perdu sounds fancier and makes for some interesting breakfast chatter so we have kept it as one of our breakfast specials for the last couple of years. And it is extremely Tasty! Combine the eggs, cream, cinnamon, and sugar. Completely soak the brioche for at least 2 minutes. Heat a little butter in a frying pan until melted but not smoking. Add the soaked brioche and cook gently on both sides until lightly golden brown. 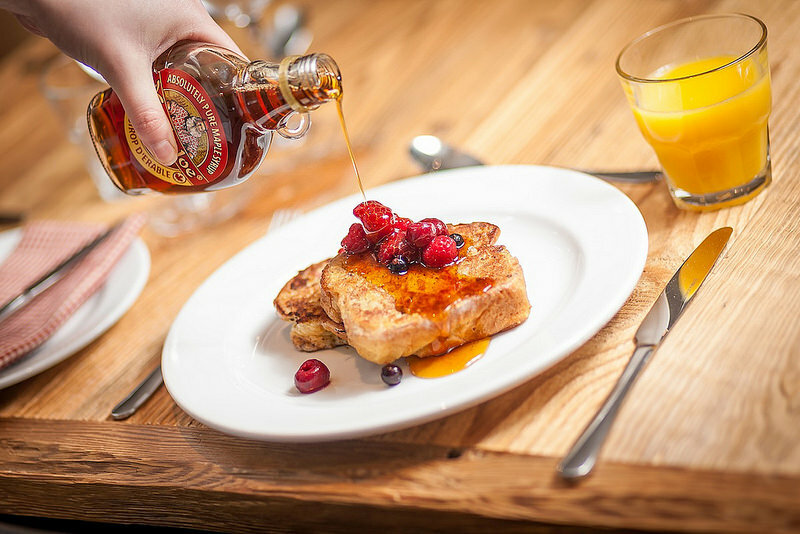 At The Tasty Ski Company we serve our Pain Perdu with blueberries and/or raspberries and a little maple syrup. If you want to take breakfast indulgence to a new level then we suggest adding dollop of creme fraiche on top! Are you still looking to book your ski holiday for this winter? We still have some availability left for this season. Click here for more information on our Morzine chalets and click here for more information on our Grand Massif chalets.